KANSAS CITY, Mo. 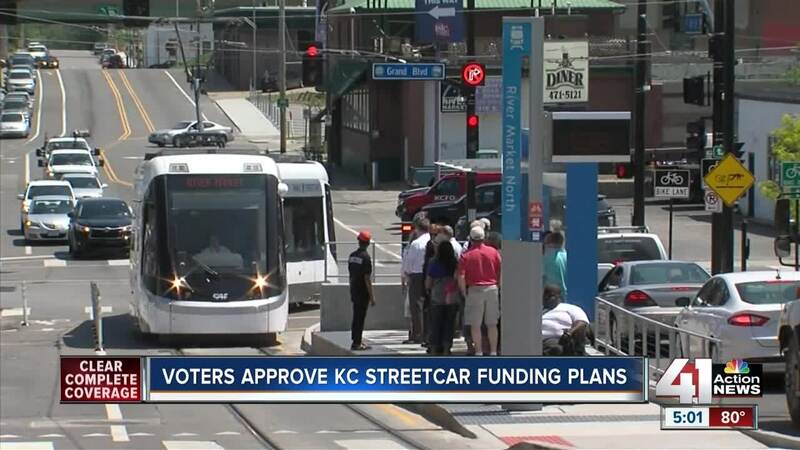 — Voters in the Main Street Rail Transportation Development District approved funding to support the KC Streetcar extension to UMKC. Voters who live within the newly-created transportation development district (TDD) along Main Street approved a 1 percent sales tax and special property assessments. 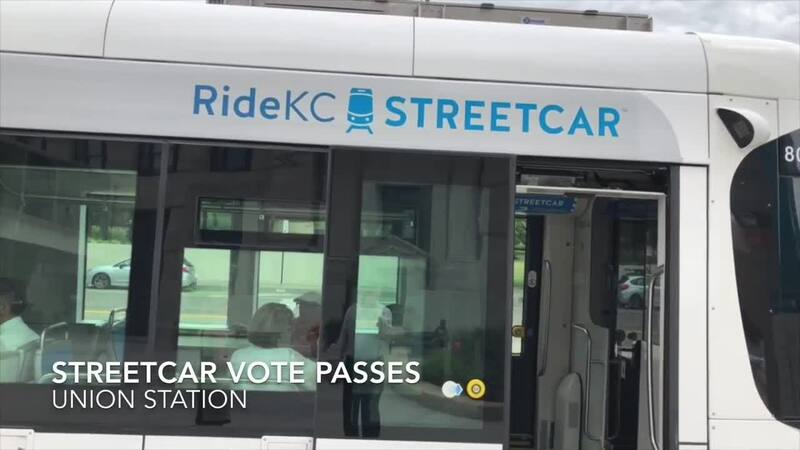 According to KC Streetcar, the final results were roughly 75.6 percent yes on Question 1 (sales tax) and 74.7 percent yes on Question 2 (special assessments). "This means that the voting public likes us and wants to see the momentum of the downtown streetcar come down to Midtown and the Plaza, so we're very excited," Donna Mandelbaum of the KC Streetcar Authority said. But not everyone was excited about the results. "A lot of the property owners in Westport are disappointed a little bit," Tom Platt, Chairman of the Heart of Westport Neighborhood Association, said. Several prominent Westport businesses donated to SMART KC's opposition campaign. They expressed concerns no one would be willing to make the walk from 39th and Main Street over to the entertainment district. Yet property owners would still be on the hook for the taxes. The TDD tax and assessments approved Wednesday are expected to generate $25 million annually. These funds will go toward the operations, maintenance and construction of the extension. The total construction cost for the line is $250 million. KC Streetcar officials said having the TDD funding will improve the chances of receiving federal funds for construction, but there are concerns that Washington could pump the brakes. "I don't think it's a secret that this administration may not be favorable towards public transit like this, but we are hopeful that we have a wonderful project here in Kansas City," Mandelbaum added. The streetcar elections were a complicated process for voters, who had to apply for ballots through the Circuit Court by April 3. They were mailed out on May 1, and voters had until June 12 to return their notarized ballots. Despite having lost the fight to stop expansion, SMART KC Founder Sherry DeJanes said her group is now turning its attention to the TDD election process. They're supporting legislation drafted by Rep. Dan Stacy (R-Blue Springs) that would automatically send ballots to eligible voters, so they don't have to apply for them. The bill died in committee during the most recent session. DeJanes said SMART KC expected the results, especially since they were outspent on their campaign. "It was David versus Goliath, and Goliath won," she said. Designs for the streetcar extension, including the definitive list of stops, will be finalized by the end of the summer.